Finnish developers Team Jolly Roger have announced that their Space ballistic tactics game Worbital, is planned to release on Nintendo Switch, PS4 and Xbox One. Worbital is a strategic artillery game set in deep Space and is set to release on Steam January 31st, 2019. We have a trailer for the game below, along with a trailer for the game. Kajaani, Finland 16th of January, 2019 — Award-winning Finnish developers Team Jolly Roger have revealed the release date for their strategic deep-space artillery game Worbital. Set to launch for Steam on January 31st, the game promises to ignite the solar system with a unique blend of long-range combat and cosmic chaos. 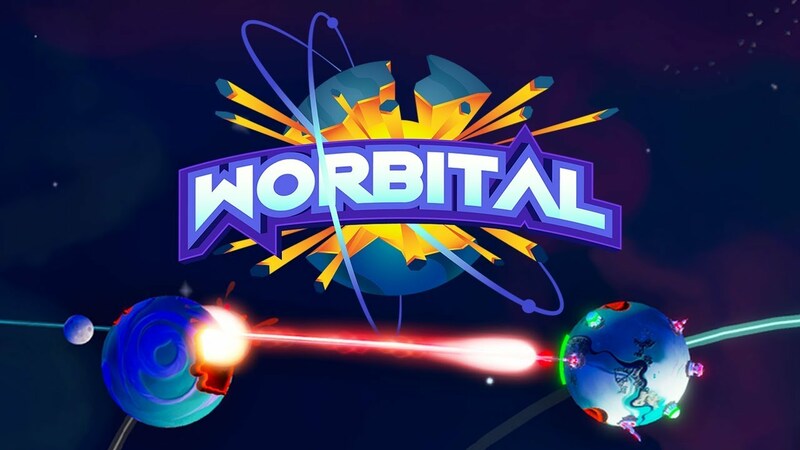 Worbital is also planned to be released for PS4, Xbox One and Nintendo Switch. A spiritual follow-up to Team Jolly Roger’s last game Interplanetary, Worbital takes the premise of flinging artillery across the solar system and amps it up with real-time strategy combat and gleeful destruction. Players will command planets that bristle with gigantic guns and lasers, exotic fortifications like planetary shields, and even maniacal doomsday weapons such as the World Rammer. They will need these in the ever-shifting battlefield of a star system, where a foe can be worlds away one moment and right in your orbit the next. With both online and local multiplayer, as well as skirmishes versus AI, the potential for pandemonium is limitless.